In order to heal his loving wife, John brings fragile Jane to a remote Victorian house where she can get plenty of light and fresh air. 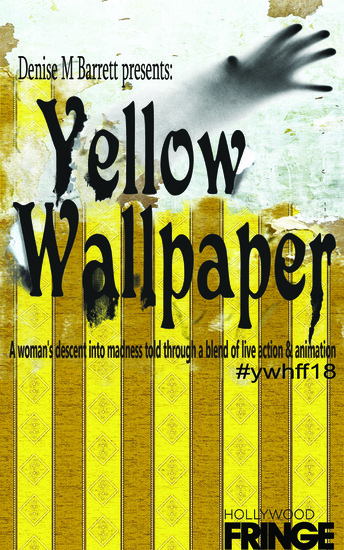 Jane is set up in the attic – where there are bars on the windows, and she is surrounded by the most atrocious yellow wallpaper. Throughout the summer, the wallpaper changes and warps, and a woman comes forth from the wallpaper. Jane knows she must free the woman before she leaves the care of the attic. John watches on in horror, as Jane descends into madness.Takes place in the 1950s. A blend of live performance and animation. Based on the short story by Charlotte Perkins Gilman.